Danielle runs Cruise Miss, a travel blog dedicated to all things cruise break. Each month, she’ll be sharing news, reviews and insider tips on cruising with you. In this month’s instalment, Danielle is sharing an account of her experience aboard two of MSC’s fabulous European cruise ships. I have experienced the ‘Med Way of Life’ twice with MSC Cruises and each time I leave I am left wanting more – hopefully in 2016 I will embark MSC Splendida and once again have my fix of Italian-style cruising. My first cruise with MSC Cruises was aboard MSC Magnifica. It was a short 3-night voyage with a stop in Hamburg, Germany, and I disembarked in Dover. I really enjoyed that trip, it just wasn’t long enough. MSC Magnifica is a beautiful ship (she even smells nice, all of the MSC fleet smell nice! ), her public rooms each had their own unique personality, the Tiger Bar being my absolute favourite, and my balcony cabin was very generous in size. It was during this cruise that I found the pizza station – I don’t think I need to say anything else about that, it was pretty good! I left MSC Magnifica with the undying need to do it all again, so less than a year later I found myself aboard MSC Opera, this time for an 11-night voyage taking in Holland, France, Guernsey, Spain and Portugal – now this was more like it. We had absolutely fantastic weather for the entire cruise and I met some wonderful people. It was this cruise that also let me see what it was really like sailing with MSC Cruises. During my Magnifica voyage it had been cold and damp the entire cruise, so I hadn’t experienced the fun poolside, the gelato bar, or the abundance of cocktails, this time I was going to make up for it. MSC Opera was an instant hit with me. My outside cabin was spacious and the bathroom was much bigger than I had expected, the pizza was just as good as it was on Magnifica and the food choices were varied enough to keep me happy. I had also opted for the Allegrissimo drinks package for the cruise, which turned out to be worth its weight in gold – I would HIGHLY recommend this, or a package similar. I saved a small fortune by having it and the 15% was included. It worked out at approx. £20 per day, which may sound like a lot, but it included so much. I was having 4 or 5 small bottles of mango juice almost every day, had I have paid for each one individually, plus the 15% on top, I would have spent £20 alone just on the juice, that was before the evening came along and a cocktail was ordered. 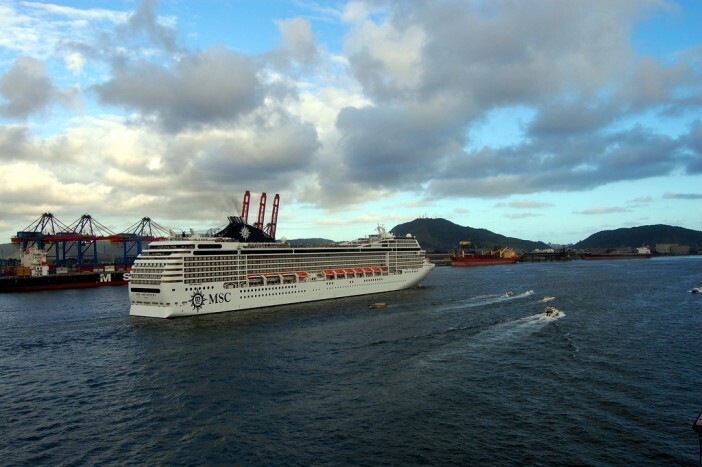 I hadn’t booked the MSC Opera cruise for the ports, I had booked it solely for the ship, although I did go ashore in all but 1 port, I didn’t do any excursions or heavy sightseeing, I simply went at my own pace and took each destination as it came, and I enjoyed that. I made the most of the sunshine and the deck games – which were a lot of fun! There were several different nationalities onboard, some people didn’t speak any English at all, but when it came to playing those games as a team there was no language barrier, everyone knew exactly what they had to do and it was hilarious to watch! I also really enjoyed the live DJ on the deck, that was a new experience for me and it certainly added to the fun atmosphere. Disembarkation was swift and painless, as it should be, but I was sad to leave. I really can’t wait to do it all again next year! If you liked Danielle’s post, take a look at our selection of Mediterranean cruise holidays. Image sourced via Flickr Creative Commons and MSC Press Area. Credit: Eugeni Dodonov and MSC Cruises.